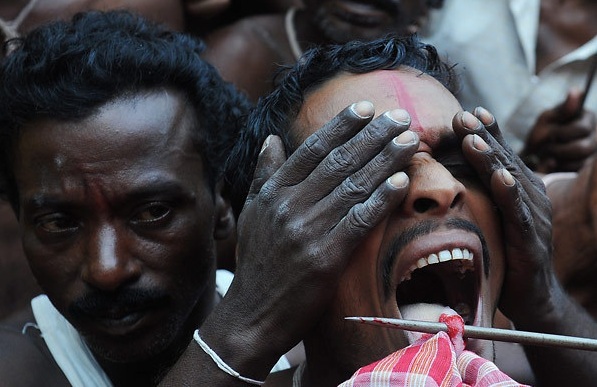 In this Hindu ritual, the enduring the of pain of this tongue piercing is part of the worship of Shiva, a major Hindu deity, in hopes that his prayers are answered. The man on the left is experiencing the pain of his friend indirectly via empathy. We know this because he displays a classic body language signal - his central forehead is contracted and furrowed, while his peripheral forehead is smooth.